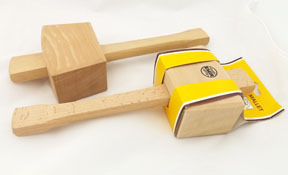 Economy magnetic tack hammer with a split face and hickory shaft. The magnet is non-permanent and needs a keeper on the end to prolong its life. This tool has been my personal favourite for 30 years, a pleasure to own and use. 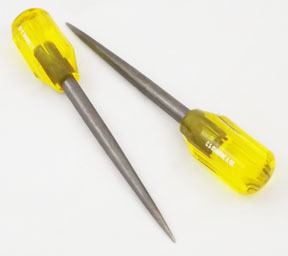 Permanently magnetic at one end, for placing and driving tacks. 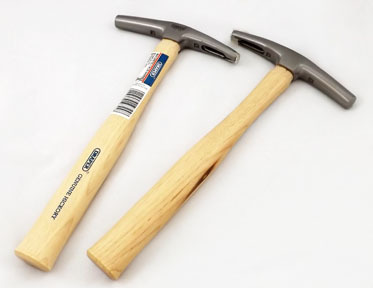 A high quality tool. 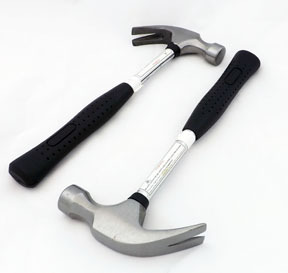 Non-magnetic hammer with one claw end. 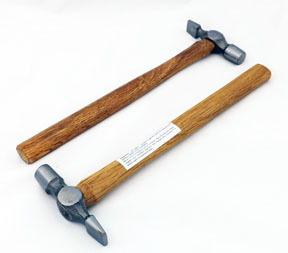 Hardwood handle and steel handle supports for added strength. 11oz head, a beautiful tool to own and use. 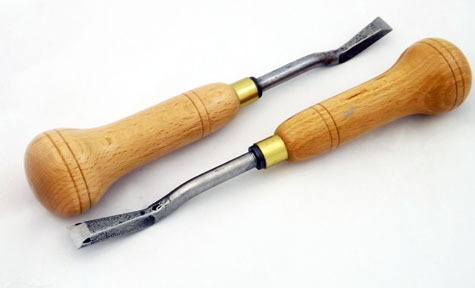 For hammering in decorative nails without damage. 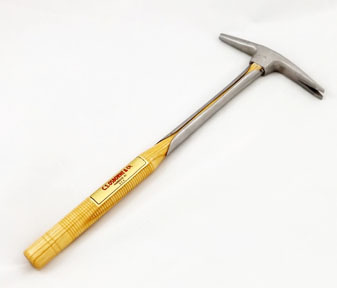 12oz tubular steel shaft claw hammer. 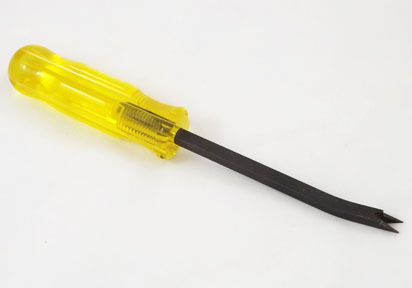 Rubber handle. 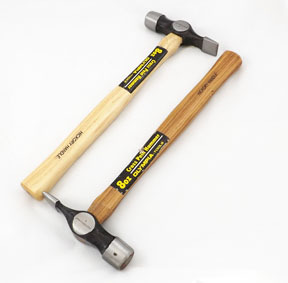 110mm head, used to strike wooden and plastic handled tools, best quality. Plastic handle / metal shaft. with excellent leverage. Not for tacks. Quality tool. A simple yet clever design for removing embedded staples. Red plastic handle. A new and welcome addition to my tool board. 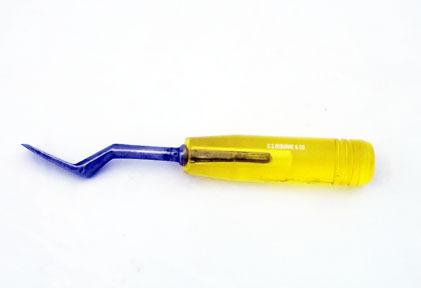 Staple remover tool with spade-like end. 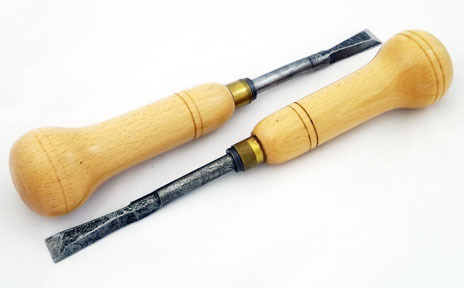 Wooden handle.Simple yet sturdy tool with good leverage. Wooden handle, London type. 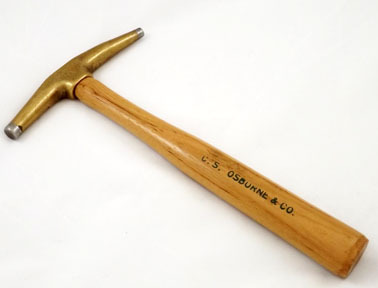 Use with a mallet for tack removal. Personal favourite. Wooden handle, London type. 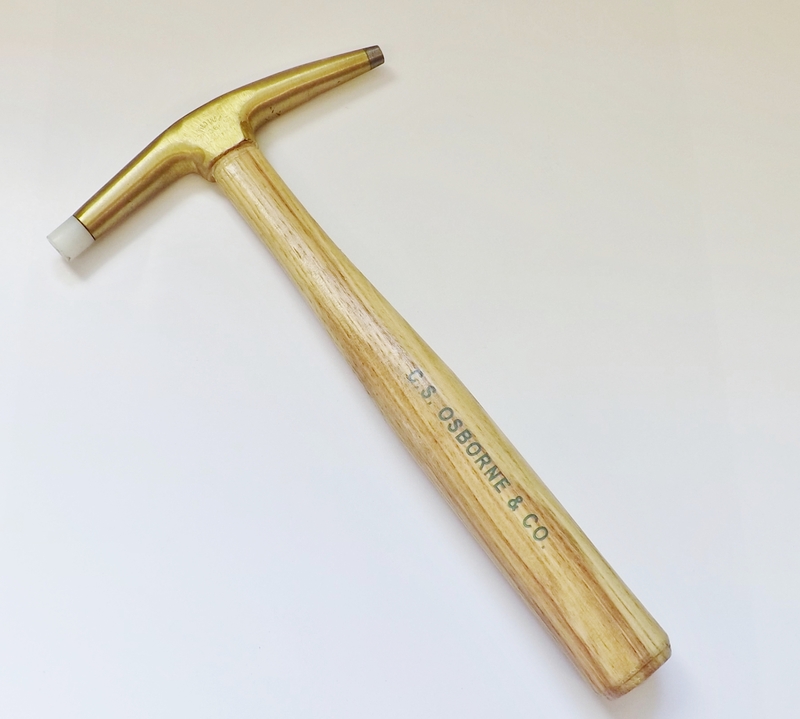 Use with a mallet for tack removal in tight places. A high quality tough tool. 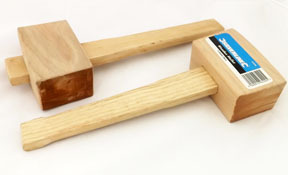 High impact plastic handle to use with mallet, tried and tested in my workshop for 20 years. 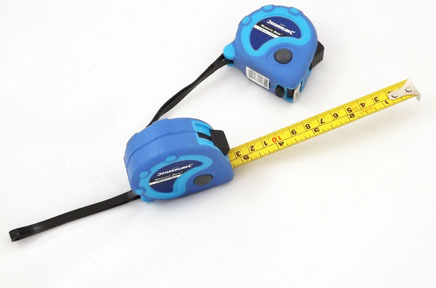 Very heavy duty, good value. To punch holes in fabric and leather. Does assorted size holes. 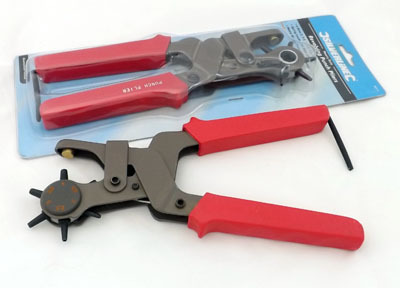 Highest quality tool for stretching hide, canvas and webbing. 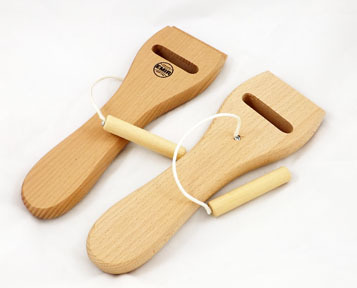 Emir solid beech, peg and slot type, used to stretch 2" traditional webbing. 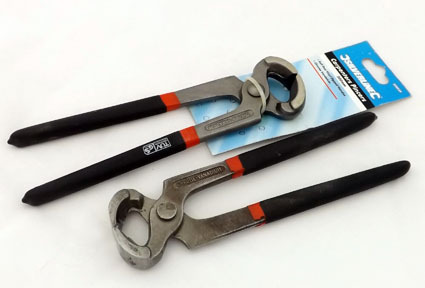 Professional quality blade lock and brake. 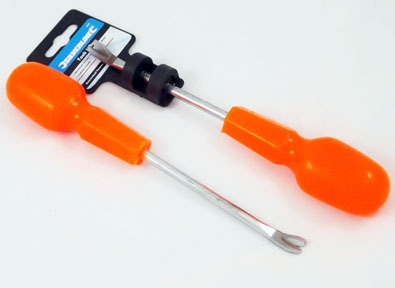 A lightweight tack remover of a DIY standard. Use to remove protruding tacks. 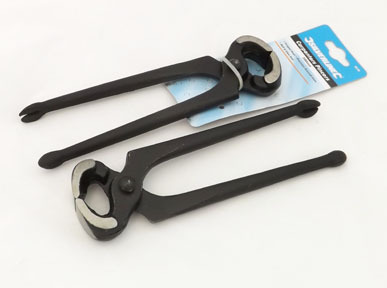 Carpenter's pincers - chrome vanadium steel with vinyl handles for comfort. 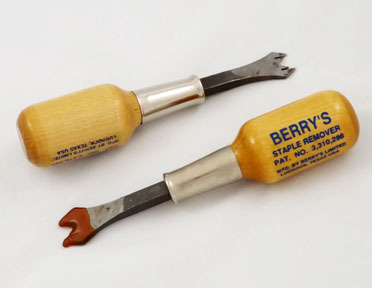 Use for pulling nails, staples and ripping out fabric. 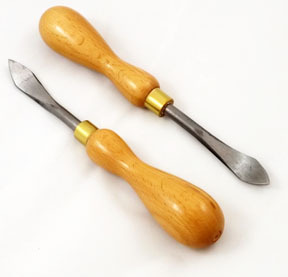 Carpenter's pincers with ball and claw ends. For pulling nails, staples and ripping out fabric. 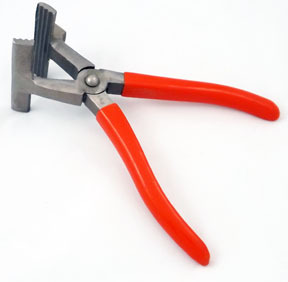 5" heavy duty staple remover. 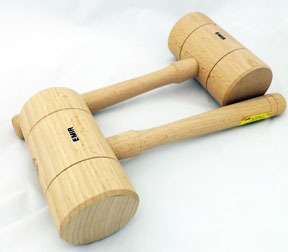 Can be used with a mallet or by hand. A high quality tool.